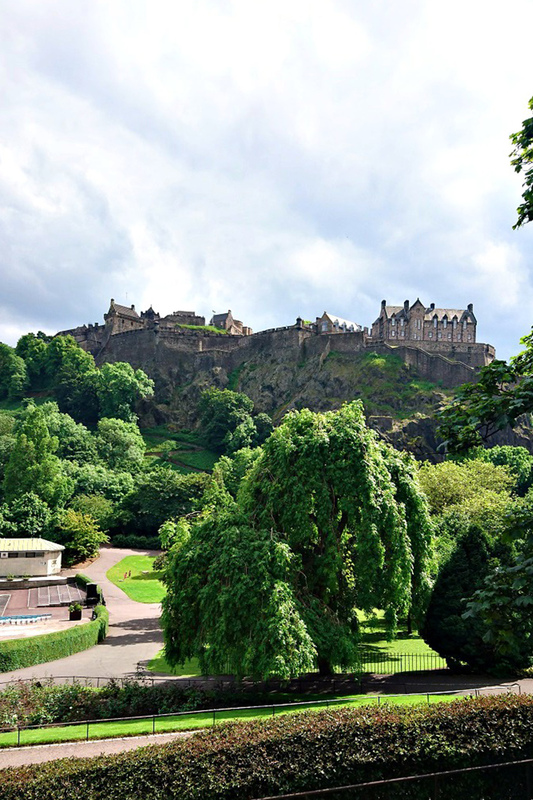 It is, without doubt, one of the biggest, most iconic events of its kind to take place north of the border and attracts a huge number of visitors. Over four days (and 40 hectares) it offers a shop window showcasing award winning livestock, fine food and drink, the latest high tech farm machinery and much more. Make no mistake, though, this is a working show – deals are done, contacts are made and it has been that way for 176 years. People attend the Royal Highland Show looking for products that offer quality, craftsmanship, choice and brand heritage. This year Ekornes partnered with Richard F Mackay Furniture, a family owned business based in Edinburgh, to showcase the very best in luxury leather recliners and sofas. Located away from the main thoroughfares it was a great place to experience the total comfort of Stressless. It became an oasis of calm for a steady stream of weary visitors who seemed to enjoy their time on the stand (although ‘stand’ doesn’t seem an appropriate word as there was more sitting and reclining than standing, that’s for sure). 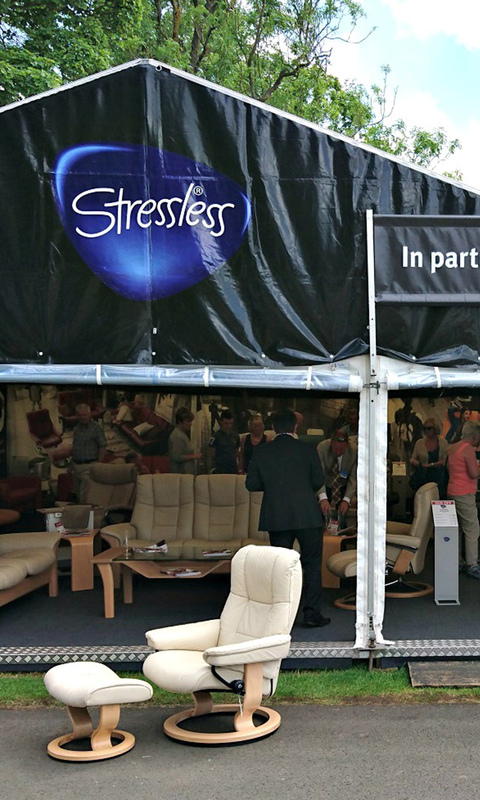 We ensured that our display was big enough to showcase a fantastic selection of Stressless products. There was a great mix of styles, both classic and contemporary, in a variety of colours. The F Mackay staff were on hand to answer any questions with a product knowledge second to none and the kind of professional and friendly manner that reflects favourably on both them and Stressless. It was a great opportunity for visitors to see our ‘Signature Base’ and feel the new luxury leather options, such as Noblesse. 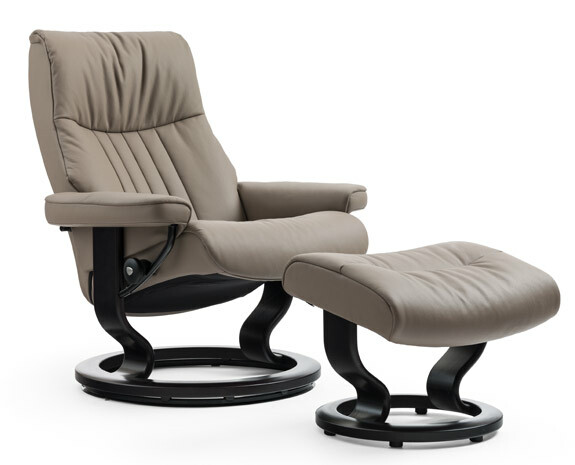 We never tire of seeing the reaction of visitors as they sit in a Stressless chair for the first time; enjoying the luxurious leather, the effortless recline, the unique sensation of weightlessness that comes with our BalanceAdapt feature and the almost inevitable sigh as Stressless comfort takes hold. As anticipated, it was a hugely successful show. The fact that many of the companies present have a huge amount of heritage behind them means that this particular show is a perfect venue for the Stressless brand. It aligns with our history of creating products of excellence, over many years, always improving and seeking to deliver unparalleled comfort. Because we believe in the simple philosophy that if you invest in quality, from companies that take pride in being the very best in their field, you will be rewarded with products that stand the test of time.